Over the past few months, the link between lack of sleep and obesity has been mentioned more on the news and in articles for the public. This is because years of research has confirmed that not getting enough sleep contributes to weight gain in women, men and children alike; and how this makes it more difficult to lose weight through several mechanisms. 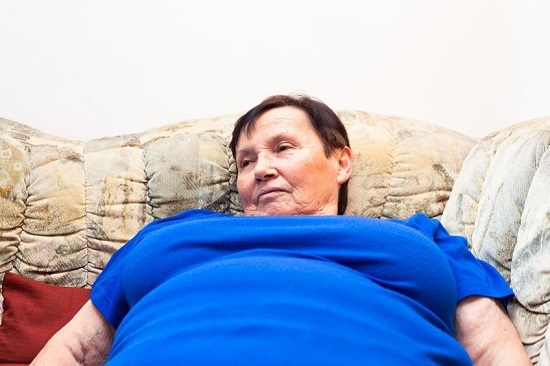 One recent study focused on the relationship between chronic lack of sleep and obesity. The researchers focused on participants who regularly got less than 6 hours of sleep per night. They found that these people were more likely to have increased BMIs and to be obese than those who slept for longer than 6 hours per night. 1) When the body is tired, it releases more ghrelin, an appetite-stimulating hormone. This leads to increased appetite and causes people to eat more than they do when well rested. 2) Sleep deprivation also decreases the amount of leptin, an appetite suppressing hormone, that the body releases. Thus, sleep deprived people must eat a lot more in order to feel satisfied. How Common of A Problem Is Sleep Deprivation? One study estimates that more than 1/3 of adults in the United States are not getting enough sleep. This was previously 18%, 53 million people in total, getting less than 6 hours of sleep per night. Many of these adults suffer from obesity, which is likely brought on at least in part by not getting enough sleep. Those who begin sleeping more find that they are better able to resist cravings and lose weight, though this greatly dependent on food addiction and whether bad habits are intentionally replaced by good ones. One more thing to keep in mind is the connection between diabetes, sleep and obesity and how all 3 are climbing in recent stats. Sleep deprivation is not a problem that is restricted to adults, either. Another study examined the link between sleep deprivation in children and later development of obesity and diabetes. Researchers followed children over time and found that those who frequently got inadequate sleep were more likely to become overweight later in life than those who slept more. Not only were sleep deprived children at an increased risk of obesity, but they were also likely to develop diabetes. A lack of sleep is thought to decrease insulin sensitivity, which leads to type II diabetes as the child develops. How To Get Better Sleep and Control Weight Gain? 1) Diet and exercise are important, but they are not quite enough. 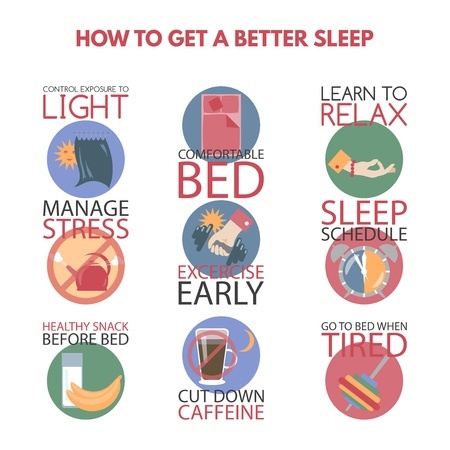 2) Getting adequate sleep is absolutely essential for those who wish to shed pounds. 3) We need to let children and teens sleep their full hours needed in order to reduce their risk of obesity and diabetes later in life. This may be why some school districts are starting to restructure the times when students start school, so that it is not as early for them. 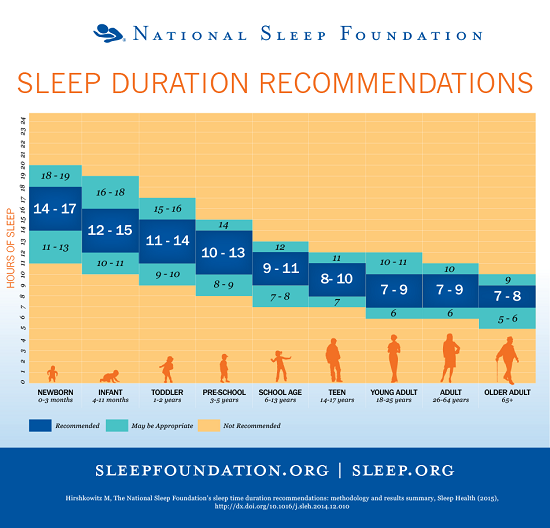 Regardless, as parents and grandparents we need to do our very best to get and keep our children on good sleep schedules for their health and success in school. NEED HELP WITH SLEEP AND WEIGHT LOSS? 1) Don't eat at least 3 hours before bed. Only drink water if it does not contribute to your lack of sleep at night. 2) Stick to a daily schedule; especially when you go to bed and aim to wake each morning. 3) Make bedtime as comfortable as possible; take a warm bath, put memory foam on your mattress or get a new one that feels best to you, use darkening curtains or a sleeping mask, light clothing or naked, and any other details that can help you fall asleep and slumber better such as No TV, electronic devices or work in your bedroom. 4) Avoid foods and drinks that have caffeine; opt for more natural options. Also, eat healthier during the day to aid in weight loss instead of continued weight gain. 5) Exercise daily - it helps with stress (physical / mental) and better sleep. 6) Meditation can also help develop a relaxing state that leads to sleeping better. Take HiBurn8 every night! It has ingredients that help with sleep and weight loss, as well as muscle and tissue repair, inflammation, stress and so much more. 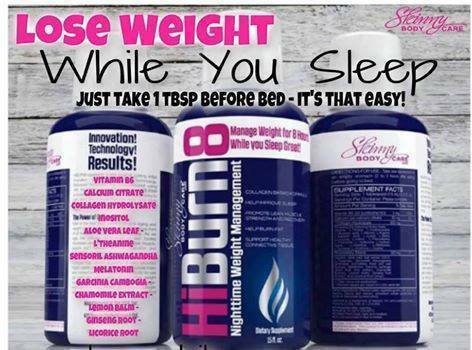 Click here to learn more about HiBurn8 and why it helps with sleep, weight loss & health! Please feel free contact me if you have any questions and share this post with friends! One of them may find it helpful. Knutson KL and Van Cauter E. Associations between sleep loss and increased risk of obesity and diabetes. Annals of the New York Academy of Sciences. 2008;1129:287-304. Kristen L. Knutson. Does Inadequate Sleep Play a Role in Vulnerability to Obesity? American Journal of Human Biology. 2012; 24 (3): 361. Benedict C. Letters To The Editor: Compromised sleep increases food intake in humans: two sexes, same response. Am J Clin Nutr. 2012;95:531.